← Keep on , keeping on …. The Long Walk of Shame .. The NBA season will resume after the All Star Game , where New Orleans Pelicans forward Anthony Davis rounded out the game’s festivities on his way to winning the All Star Game MVP , as well as being the leading scorer in the contest with fifty-two points for the Western Conference in their triumph. Off the court the big news happens to be the coup made by the Pelicans in acquiring DeMarcus Cousins in a trade from the Sacramento Kings , that was astounding as it was surprising . Many are now questioning the mindset of the Sacramento Kings and the front office led by Vlad Divac and Peja Stojakovic . In allowing Cousins to be traded , the franchise avoided a max contract which would have paid the center $209 million over five years , making the center the highest paid player in the NBA. Having gone through nine head coaches in almost as many seasons and the continued dysfunction of the Kings, there is no real good reason to believe this trade will be in the best interest of the franchise. Acquiring Tyreke Evans , a player who is often injured , Buddy Heald , Langston Galloway and two future protected draft picks does little for the Sacramento Kings as a franchise . Vlad Divac who heads the Basketball Operations for the Kings cannot be taken seriously in his position as a front office executive and the same can be said Peja Stojakovic as the general manager. Team owner Vivek Ranadive has not issued a public statement concerning the trade , but it is believed , he gave the go-ahead for the deal to be made after the approach from Divac. Vlad Divac for his part in a press interview suggested that he turned down a far better deal for a trade to send DeMarcus Cousins elsewhere. It is believed there were as many as five teams interested in acquiring the center. A player who many believe is the best player at his position within the league. Cousins has been the sole reason to watch the Sacramento Kings this season and it doesn’t bode well for the franchise’s future , given this latest faux-pas as well as having one of the lowest attendance levels in the entire NBA. Refurbishment of the Sleep Train Arena in Sacramento has to be considered a complete waste, especially when it comes at the expense of taxpayers’ monies , something clearly not on the mind of former Sacramento Mayor Kevin Johnson , whose persistence in seeking to make this happen while his city faced a budget crisis remains an ongoing indication , why municipalities continue to be a lap-dog of professional sports’ hierarchies. Vivek Ranadive assumed control of the Sacramento Kings, having brought the franchise from the Maloof family . Ranadive promised the fans a change , one where the team would seek to be competitive and have a great team on the court for the fans to take pride in, but nothing has been further from the truth. Head coach Dave Joerger and his coaching staff are completely out of their depth while Vlad Divac and his fellow executives continue to lead the Kings deeper into an abyss. It’s pretty much safe to suggest the fans will likely abandon franchise in even large numbers in the aftermath of this shocking and inexplicable trade. Both New Orleans Pelicans and Sacramento Kings will be back in action on Thursday 23rd February , when the Kings will face the Denver Nuggets at home , while the Pelicans take on the Houston Rockets . While the idiocy of the Charles Oakley ‘incident ‘ remains fresh in the minds of the fans around the NBA , many are now asking, how long before Phil Jackson and Steve Mills decide to pull the plug and simply implode the roster of the New York Knicks ? Rumors are now running wild , with the Knicks likely out of playoff contention , it simply doesn’t make sense to keep together one of the league’s highest salaried teams . Derrick Rose has failed to make a major impact and Carmelo Anthony lacks the drive to lead the team with any great determination . If there was ever one thing clear about Carmelo Anthony , it has been the fact his game is extremely one-dimensional , with scoring being his greatest strength . Thursday 23rd February is the trade deadline and it will be interesting to see if New York Knicks’ head coach Jeff Hornacek is given instructions to sit out both Carmelo Anthony and Derrick Rose or simply the Knicks’ starting point guard, Rose, as they seek a trade of the former League MVP from 2010 . The New York Knicks will face a tough task when they resume their schedule , as they face the Eastern Conference’s best team , the Cleveland Cavaliers on Thursday night at the Quicken Loans Arena , in Cleveland , Ohio. Contests featuring Carmelo Anthony and LeBron James as adversaries have always favored the four-time League MVP. New York Knicks continue to be a monumental disaster , not being of much relevance in the NBA over the past five seasons , with their last NBA Playoff appearance came during the 2012-13 NBA season . If the New York Knicks are said to be having a bad season m then by comparison , one could look at the Brooklyn Nets and say “ they are dead in the water” . With the league’s worst record and a roster simply bereft of talent , it would be easy to suggest team owner Mikhail Prokhorov , having spent tens of millions to buy the franchise, has wasted even more , investing in players who simply were not good enough. It wasn’t that long ago the Nets were a star-studded team , with one of the highest payrolls in the NBA with Brooklyn playing in front of a sold-out arena. Those days are now long gone , former GM Billy King is no longer there, but the billionaire owner of the Brooklyn Nets still presides over the mess. Prokhorov is said to be listening to offers for the franchise, but there have been no interested suitors or actual buyers for the team. There is no known asking price , though it is believed Mikhail Prokhorov would be willing to sell the team just under $2 billion . Considered to be the best player on the Brooklyn Nets’ roster, Brook Lopez could be on the block , as the Nets look to recoup something for the player, while taking his salary and the remainder of his contract off their books . At this point , it’s best to start with their very own ‘ fire sale ‘ and look to regroup later. It is about the only thing Sean Marks can do without being faulted , as he inherited a mess from his predecessor Billy King. Kenny Atkinson was given the unenviable task of being asked to coach this band of misfits and clearly things have not worked out as planned . For the remainder of their schedule there isn’t really a great deal left for the Brooklyn Nets to play for . Pride is no longer evident and their will to win has been sorely lacking . Sibling rivalry , tumult and turmoil have now engrossed what could be the makings of the biggest soap opera in the NBA . Los Angeles Lakers’ CEO Jeanie Buss has relieved GM Mitch Kupchak of all his duties . Jeanie Buss has also dismissed her brother Jim Buss from his role within the franchise , creating what could very tell turn into a bitter feud between the two siblings. Not since the departure of Phil Jackson , have the Lakers seen such drama and it certainly doesn’t bode well for the future of the Los Angeles Lakers. Head coach Luke Walton is certainly trying to do his very best , but the rookie head coach is facing a tough task of having to coach a team short on experience , without veteran leadership and actual play-making ability on all fronts . Short-term thinking , the lack of development of talented young players and this constant belief money can bring the best talent to the franchise has been sorely misplaced. Not one player on the current roster was deserving of a vote to be even remotely considered for a roster spot on the Western Conference All Star team . The idiocy of fans having a vote continues to show why the NBA is actually bereft of ideas. Jeanie Buss had been fed up for years. You could never tell by watching her in that familiar Staples Center courtside seat, the 55-year-old Lakers governor always smiling and entertaining her high-profile friends who would watch her beloved team lose almost every time out. But behind the scenes, in those moments when she’d recount all the mistakes that her brother, part owner and former front office executive Jim Buss, and longtime general manager Mitch Kupchak had made and wondered why her patience in them hadn’t paid off, she was more and more ready to do this deed. The hammer finally fell on Tuesday, when Jeanie and recently added Lakers legend Magic Johnson fired Kupchak and stripped Jim Buss of all his basketball power. While Johnson now assumes the role of president of basketball operations, the Lakers are expected to add Rob Pelinka, the agent of retired Lakers star Kobe Bryant, as general manager, according to two people with knowledge of the situation. Pelinka, a teammate of Michigan’s Fab Five whose current client list includes the Houston Rockets’ James Harden and the Houston Rockets’ Eric Gordon, would have to divest himself of his Landmark Sports Agency before joining the Lakers. Click on link shown above to read this article in full . With the ouster of Mitch Kupchak and Jim Buss , Jeanie Buss has sought to make changes and her first order of business has been to name Magic Johnson as Head of Basketball Operations for the Los Angeles Lakers. How Johnson will be able to manage this role , while also being a senior executive with the Los Angeles Dodgers remains to be seen . The Lakers have also traded Lou Williams to the Houston Rockets in exchange for Corey Brewer . This trade made absolutely no sense whatsoever , as Williams was the leading scorer on the roster and certainly their most effective player throughout this season . Magic Johnson’s ambitions lay somewhere between his wanting to be taken seriously as a front office executive and still be seen as one of the best players in Los Angeles Lakers’ history . While I don’t believe Luke Walton’s job is danger as of yet , I do believe Magic Johnson’s patience might not endure the Los Angeles Lakers, not being able to turn around their season with at least a winning record at the end of the season. The Lakers will resume their schedule with a game against the Oklahoma City Thunder on the 24th February , one of several games taking place on the night. Jeanie Buss and Magic Johnson will need to hire a general manager of proven ability or someone with a great deal of basketball knowledge and if the rumors are to believed they might well have found their man , with Rob Pelinka , famed basketball agent and founder of The Landmark Sports Agency , home to some of the most recognizable names in the NBA . Pelinka will have to assess this roster , address their wants , dissolve itself of the players who are either unproductive or just simply no longer requisite to the long-term future of the Los Angeles Lakers. It will be a tough task, but it will not be easier than watching the ruination of the franchise since 2010. It is hard to contend how this NBA season can be seen as being truly competitive , when claims are being made the Eastern Conference is on par with its Western Conference counterpart. The West if by far the more competitive conference , with far more quality teams, whereas in the East, there are only a few teams barely worth talking about this season. Other than the continuity seen from the Cleveland Cavaliers , the most surprising team in the Eastern Conference , might just be the Boston Celtics , who are playing like a team which has finally arrived and believe that they are good enough to take on the best the league has to offer . Boston Celtics’ head coach Brad Stevens is proving to be one of the best young coaches in the league (NBA) and could very well end up being named the NBA Coach of The Year this season. He has shown himself to be adept , a great motivator of his players and he certainly has gained their respect. It easy to understand why both GM Danny Ainge and Wyc Grousbeck have undoubted faith in their head coach. The Celtics will be preparing for their next game after the break when they face the Toronto Raptors at the Air Canada Centre , in Toronto , Ontario this upcoming Friday , the 24th February . Picture gallery , by clicking on an individual image you can view that picture in a reformatted size alongside the accompanying narrative . As the NBA season slowly winds down, what do you believe has been the biggest story of the season and which team do you believe has been the biggest disappointment overall ? This month in NBA history and on this date in basketball . This entry was posted in Basketball, Golden State Warriors, LeBron James, NBA, NBA Eastern & Western Conference, Sports, Sports & Social Commentary and tagged Basketball, East & Western Conferences, Kevin Durant, NBA, Sports, Uncategorized. Bookmark the permalink. 46 Responses to The Long Walk of Shame …. Magic Johnson , like Phil Jackson of the New York Knicks will prove to be equally as incompetent in the role of being a front office executive . It has already begun , the idiocy of his (Johnson’s) first decision in trading the Los Angeles Lakers’ best player , Lou Williams for Corey Brewer of the Houston Rockets . Clearly. there’s not only a disconnect with the ongoing dysfunction of the Lakers , but it is also clear former Lakers’ GM Mitch Kupchak , was being given way too much credit for franchise’s success when the real architect of its beginning was Jerry West . It is time for the Lakers’ fans to wake the fu#k up and stop living in the past. Vlad Divac is clearly an @ss clown if he believes he was offered a better deal on to then make the decision to trade DeMarcus Cousins for a handful of Ju-ju beans . This is the type of goddamn bull$hit, fans who claim to have knowledge of the NBA are willing to put up with while claiming the league is really competitive and entertaining . Vlad Divac is a f#cking @sshole , with his claims about the culture of the Sacramento Kings . DeMarcus Cousins has been with the franchise for six years and the whole world has witnessed his behavior as well as his play. WTF !!! Far be it for me to suggest how the next ten games will pan out for the teams within the NBA . The NBA is a joke. I really don’t care about the BS called the NBA. A bunch of over paid cry babies who are lost in their own lives. It ( NBA) will continue to be a joke as long as NBA Commissioner Adam Silver is allowed to run the league unilaterally . Like his predecessor , David Stern , Silver says things that he doesn’t actually mean . With the return of the NBA after their All Star Game post mid-season break , the stories emanating are still sending shock-waves around the league. As the schedule begins its wind down the trades which took place are likely to impact the shape of the NBA over the coming weeks . The Los Angeles Lakers after the recent upheaval within their front office are due to take on the Oklahoma City Thunder on Friday . Their conference rivals and co-habitant of the Staples Center the Los Angeles Clippers are in action on Thursday evening where they face the Golden State Warriors , where at present the Clippers have a double-digit lead over the league-best Warriors. Point guard Deron Williams is now without a home after the Dallas Mavericks waived the veteran . This season has been one of sheer inconsistency for the Western based franchise . Williams’ own inconsistency has been evident throughout the season for the team . It is believed Deron Williams will sign as a free agent , joining the Cleveland Cavaliers , bolstering their offense and creating more depth on the Cavaliers’ roster . As if there was another reason to understand how clouded the judgement can be by analysts around the NBA and their thoughts on certain players . Andrew Bogut’s career in the league can be best described as underwhelming and at no point during his twelve years in the NBA has the center ever been a statistical leader in any category be it defense or offense. Having been drafted as the number one overall pick in the 2005 NBA Draft by the Milwaukee Bucks . Bogut has become something of nomad around the league , making stops with several teams , but he now finds himself in the Eastern Conference , having been sent from the Dallas Mavericks to the lowly and clearly overrated Philadelphia 76ers . From my own standpoint , I believe Bogut’s time with the 76ers will be short-lived , either with his playing out the remainder of the season or his contract being bought out and his then being waived. It is clear that whatever Jerry Colangelo and his son , Bryan Colangelo have planned , Andrew Bogut is unlikely to be part of Philadelphia’s long-term future. The front office of the 76ers traded away Nerlens Noel and it is believed with the franchise’s plight concerning their rebuilding will be in complete disarray because of decisions made in 2014 and 2015 with regard to the franchise’s draft history. This season for the 76ers can be considered a complete bust on all levels with the coaching staff once again simply being out of their depth. Joshua Harris as team owner of the Sixers has become a complete joke , simply another billionaire enthused with the belief they can use a sports’ franchise a tax write off for their other commercial endeavors . Philadelphia’s head coach , Brett Brown will have his team prepared to face the Washington Wizards on Friday evening at the Wells Fargo Center in Philadelphia , Pennsylvania , a contest being played at home . I had someone explain to me that there was a winning culture with the Los Angeles Clippers when current team owner Steve Ballmer bought the franchise for over $2 billion in the aftermath of the Donald Sterling fiasco . The Clippers did not have a winning culture and their last playoff appearance prior to the tandem of Doc Rivers as the head coach along with the Ballmer ownership reign , came in 2012 when they fell in the first round of the NBA Playoffs of that season losing to the Memphis Grizzlies . Doc Rivers (left) and Steve Ballmer. This season (35-22) the Los Angeles Clippers have proven themselves adept to the conditions of their schedule , with Chris Paul and DeAndre Jordan leading the offense for the Clippers in the absence of Blake Griffin . On Thursday night in a match-up of conference rivals the Los Angeles Clippers faced the Golden State Warriors , somehow managing to lose the contest , having a double-digit lead throughout much of the first quarter and well into the second-quarter , before succumbing to the Warriors , losing the game 123-113 . If there are frailties on this Clippers’ roster then it comes down to the fact they are not a good defensive team . Doc Rivers and Clippers’ front office stood pat with regard to trade deadline and did not make any major moves . Next up for Doc Rivers’ players will be a game against the San Antonio Spurs on Friday night . It’s amazing to think that some NBA fans can get caught up in the immediacy of things and then try and suggest also , in terms of a team’s history , there has been a great deal of success. Unless you’re the San Antonio Spurs , Miami Heat or the Los Angeles Lakers , over the past eighteen years there should be no reason to suggest your team has been the epitome of success. Since 1997 , no other team in league has derived more success than the Spurs and this year will mark the twenty-first season with a winning record by head coach Gregg Popovich . Already with a comfortable lead within the Southwest Division of the Western Conference the San Antonio Spurs appear to be well on their way to another divisional title . With a roster led by two-time NBA Defensive Player of The Year award winner Kawhi Leonard , it could be suggested the reins of greatness have seen a smooth transition on from Tim Duncan to his young successor. Leonard is on team which has a great deal of depth and experience apart from their offensive prowess as one of the best scoring teams in the entire league. However , what defines the team remains their solid defense and their willingness to play as a team . The consistency shown has been there for all to see throughout the season. Over their last fifteen games the San Antonio Spurs have been one of the most effective teams in the NBA . Their victory over the Los Angeles Clippers on Friday night was simply reflective of that fact and how they have played this season . 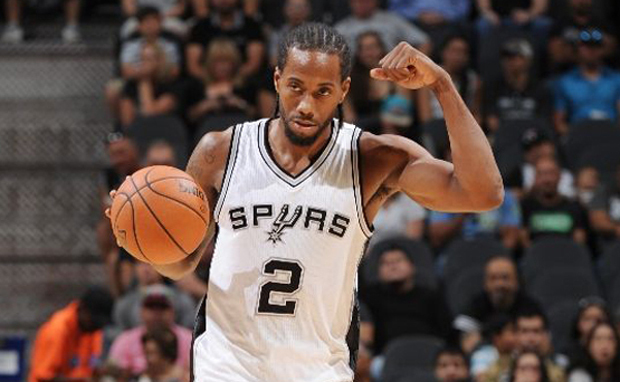 Kawhi Leonard of the San Antonio Spurs . Gregg Popovich along with his coaching staff will prepare the team for their next contest when they face the Los Angeles Lakers on Sunday afternoon at the Staples Center , in Los Angles California in another road game . I fully expect this to be a lopsided contest favoring the visiting team ! One game doesn’t make a season and for some to be suddenly shocked by the Philadelphia 76ers defeating the Washington Wizards was something extraordinary is really idiotic . Through much of this season the 76ers have been an absolute abomination both on and off the court . Team head coach has his work cut out for him over rest of the season , where I believe will languish being one of the worst teams in the league. Well, here we are almost at the culmination of another year in College Basketball where the only things now rounding out are the regular season contests as a precursor to the conference championship games before the beginning of the NCAA Tournaments for the Men’s and Women’s National titles . Gonzaga (29-1) as the top-ranked men’s team in the nation had been looking to maintain their unbeaten run during the regular season , but they fell in defeat , losing to the BYU Cougars . No small feat on the part of the Cougars in what turned out to be a sensational game . This was part of a massive schedule of games taking place on Saturday afternoon of Men’s and Women’s contests . Gonzaga are likely to be a number one seed within their region in spite of the defeat when the NCAA Men’s Tournament begins. For the moment however , the fans will get the chance to see their favorite teams in action in the lead-up to the start of the tournament . The U Conn Huskies have continued to dominate Women’s Basketball over the last four three seasons and they now have 100-game unbeaten run . The team has stars on the roster at just about every position. Statistically they might be even better than last season’s national championship roster . There were games in action with the NBA schedule now heading into its final months of regular season play. Last night offered no real surprises among the contests played . The Sacramento Kings fell by the wayside , losing to the Charlotte Hornets in another home loss . In the aftermath of DeMarcus Cousins being traded to the New Orleans Pelicans , it is hard to envisage how anyone can have any empathy for the Kings, much less their front office or coaching staff . They have simply abandoned their season , let down the fans and essentially thumbed their noses up at trying to be competitive . In their next game the Kings will face the Minnesota Timberwolves at home in a game to be played at the Golden 1 Center in Sacramento, California , on Monday evening. Another game of note which took place on Saturday featured the New York Knicks taking on fellow conference stragglers the Philadelphia 76ers , with the Knicks prevailing in the contest , winning by the margin of a single point , 110-109 . The Cleveland Cavaliers are one of three teams in the NBA to have notched up forty-wins and at least assured themselves of a winning season at this point of the league schedule. However , in facing the Chicago Bulls at home on Saturday afternoon , the Cavaliers fell to their divisional rivals in what turned out to be one of the most exciting games played on the day . I don’t think there is much left which needs to be said concerning how woefully inept the Brooklyn Nets just happen to be , as they fall to the Golden State Warriors in a seventeen point loss to the Western Conference’s best team , losing , 112-95 . The Nets are an extremely bad team heading nowhere real fast with the front office without an ounce of knowledge as what is needed to improve . The vast majority of the teams in the NBA have now played fifty-seven games with the Cleveland Cavaliers (40-17) leading the Eastern Conference while in the West it is the hard-charging Golden State Warriors (49-9) looking to become the first team in the league to reach fifty-victories and also seek to repeat the same feast as last , with the best record in their conference as well the league overall . Over their last ten games both the Cavaliers and Warriors have comparative records with having posted a mark of 8-2. Neither the Cleveland Cavaliers or the Golden State Warriors were in action on Sunday were in action , so center-stage was left both famed Los Angeles’ based franchises the Los Angeles Clippers and Los Angeles Lakers were on the court . With the recent upheavals within the Los Angeles Lakers’ front office , it was time for the players to get back to business . Their task would not be an enviable one as they took on the San Antonio Spurs . They would fall in a twenty-one point loss to the Spurs, suffering their seventh-loss in their last ten games . Magic Johnson the newly appointed Head of Basketball Operations for the Los Angels Lakers alongside GM Rob Pelinka have been entrusted by team owner Jeanie Buss turn things around for this downtrodden franchise. The issue now becomes . are the fans willing and patient enough to wait for things to elicit a new chapter with the Lakers ? Magic Johnson’s first decision in his position was to trade away the team’s best player Lou Williams and barely getting anything in return for the Williams who was traded to the Houston Rockets in exchange for Corey Brewer . Hardly a trade of equitable value , but it is clear this was an act of desperation rather than one of due diligence. If this is a sign of things to come for the Los Angeles Lakers , then I believe their turnaround will take a longer time than planned. I firmly believe the franchise will be at least three years away from being competitive in spite of the projected marquee free agents coming to the auction block in 2018 , 2019 and 2020 . For their part the Los Angeles Lakers under their head coach Luke Walton his coaching staff will now have to get the players playing more uptempo basketball . In their next contest the Los Angeles Lakers will face the Charlotte Hornets in a home game on the 28th February , 2017 . There’s winning and then there is a winning culture. This is not synonymous with the Los Angeles Clippers and only a fool would try and suggest there has been a winning culture , much less the Clippers winning anything of note . Doc Rivers might finally have a Los Angeles Clippers’ team capable of defeating the best the West has to offer . This team will only go as far as Chris Paul will be able to lead them as he remains the focal point of this lineup , regardless of the prowess of Blake Griffin and DeAndre Jordan . Next up for Chris Paul and his teammates will be a game against the Houston Rockets on March 1st , 2017 . All things start afresh and for the New Orleans Pelicans (23-37) , this might well be the push they need if their to make their presence felt within their division as well as the Western Conference in seeking the franchise’s seventh postseason appearance under their new guise . 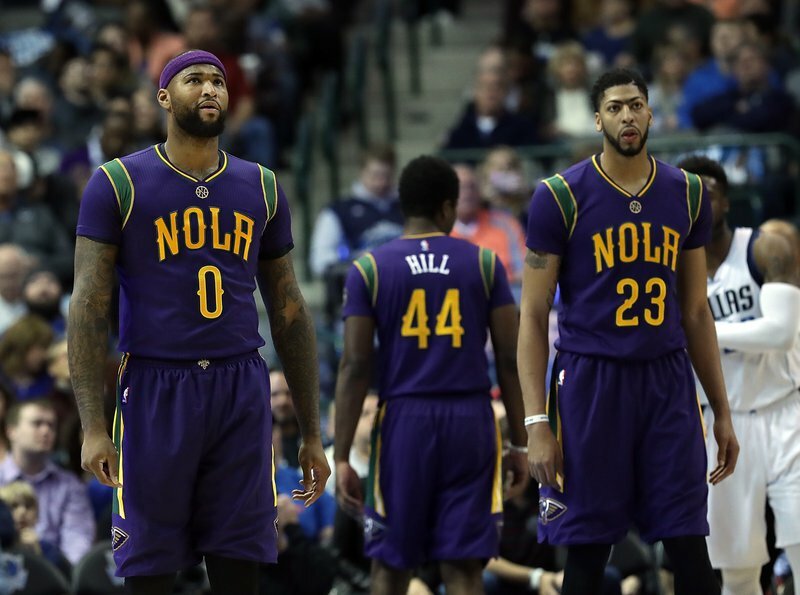 The acquisition of center DeMarcus Cousins should give the Pelicans an unrivaled front court duo comprising of Cousins and teammate Anthony Davis . If the New Orleans Pelicans are to make the playoffs then they will have to play at a . 595% winning percentage or better . The team’s current mark is .383 placing them thirteenth among the Western Conference’s fifteen teams. Defensively , the New Orleans Pelican are one of the least efficient teams in the league . Over their last eleven games the Pelicans are 4-7 . It remains to be seen if head coach Alvin Gentry and his coaching staff can still get the players to respond in kind over the remainder of the season. With the ownership of the team still remains unresolved even though owner Tom Benson is still in charge. As litigious as things have become between Benson and members of the family , it is believed the acquisition of DeMarcus Cousins has lessened the instability within the franchise. New Orleans Pelicans’ teammates DeMarcus Cousins (0) and Anthony Davis (23) . In their next two games the New Orleans will be meeting the Detroit Pistons on the 1st March and then the San Antonio Spurs on the 3rd March . It will be interesting to see how the Pelicans will fare in these two back-to-back home games . Anyone with an ounce of common sense , knows in Cleveland , it is LeBron James who runs the show , with the front office actually answerable to the four-time League MVP , as he goes on his relentless chase of his idol Michael Jordan’s accomplishments as a player. Cleveland Cavaliers’ GM David Griffin within the space of seventy-two hours has signed veterans Deron Williams and Andrew Bogut to the team’s roster . In doing so it bolsters Cleveland’s lineup , adding pieces to the offense . Former Dallas Mavericks’ teammates Andrew Bogut (top) and Deron Williams (bottom) will be reunited , having both signed with the Cleveland Cavaliers. For Andrew Bogut and Deron Williams their signing with the Cavaliers , provides both with the opportunity to pursue postseason glory at a time when both their careers are known to be winding down. Bogut’s career in the NBA has been underwhelming to say the very least . The same can also be said of Deron Williams , where has failed to fulfill the potential many believe the point guard was said to have. Over their last eight games the Cleveland Cavaliers have lived up to the mindset instilled by head coach Tyronn Lue and his coaching staff . How this now affects the Cavaliers’ salary cap as they seek to pursue a successful defense of their NBA title will now be assessed by what this team is able to accomplish over the coming week weeks . Clearly . their path to the conference title will come from the challenges posed by the likes of the Boston Celtics , Washington Wizards , Toronto Raptors and the Atlanta Hawks . In their last game the Cleveland Cavaliers got past the Milwaukee Bucks on their way to a 102-95 victory , with Kyrie Irving leading the team to the win . Next up for the Cavaliers will be a contest against the Boston Celtics in a match-up between the two best teams in the Eastern Conference . Things are now becoming very heated within the NBA . The teams are now jockeying themselves into position within their divisions , conferences , as they looking for that playoff spot among the top-eight seeds within the East and Western Conferences . One of the more surprising results from Wednesday’s games came when the Boston Celtics (39-22) defeated the Cleveland Cavaliers (41-18) in a rare home loss for the Cavaliers against a conference opponent this season. Leading the way for the Celtics in the victory was Isiah Thomas , who led all-scorers with thirty-one points in the contest. Whichever way you try to look at this game , it is clear the Cavaliers have some issues which still need to be addressed. Elsewhere around the league , the Minnesota Timberwolves blew out the Utah Jazz on their way to a twenty-seven point victory , 107-80 . Make hay while the sun shines and that is what several of the teams in playoff contention are now doing as the season really heats up . Thursday’s results in the NBA saw a number of surprises on the court . Of the games played perhaps the most competitive contest involved the match-up between the Chicago Bulls and the Golden State Warriors . The visiting Warriors having been the first team to fifty wins this season , dropped to their eleventh loss of the year in defeat , losing 94-87 . In a game which featured two of the best point guards in the league, as the fans witnessed Russell Westbrook of the Oklahoma City Thunder facing his conference counterpart Damian Lillard of the Portland Trailblazers . The Phoenix Suns have been one of the poorest performing teams over the course of this season . However , their victory over the Charlotte Hornets did little to raise their standing within the West or division . So Jim and Johnny Buss are now trying to ouster their sister Jeanie Buss from retaining control of the Los Angeles Lakers (19-43) . Sooner or later the NBA hierarchy might well have to intervene in this madness , because litigation in a US Federal Court could have appalling consequences for not only the Lakers as a franchise but also the NBA in general . I’m sorry , but all three of Buss’ siblings in conjunction with former GM Mitch Kupchak since 2010 have presided over the continued decline of the Los Angeles Lakers as a franchise. The idiot fans of the Lakers still remain stagnated in the past, living and talking about past glories, rather than asking questions as to what has gone wrong . This season the Lakers have been redundant as a team , barely playing competitively over the course of the season . Jeanie Buss had seen fit to dismiss her brothers Jim Buss , Johnny Buss and GM Mitch Kupchak from within the Lakers’ hierarchy , bring in Magic Johnson to become Head of Basketball Operations while Rob Pelinka succeeded Mitch Kupchak as the team’s general manager. Johnson’s first decision was to trade away Lou Williams to the Houston Rockets in exchange for Corey Brewer . The ramifications of that deal are already being felt by the Los Angeles Lakers . The off-court issues simply exacerbates what has already become a very unsatisfying season for the Lakers . Jeanie and Jim Buss . A Los Angeles palace coup was thwarted Friday, when the Lakers’ controlling owner, Jeanie Buss, took legal action to prevent a decidedly hostile takeover of the Lakers by two of her brothers. Jim Buss, recently fired by Jeanie Buss and replaced with Magic Johnson as the head of basketball operations, and Johnny Buss had been attempting to create a new board of directors for the team that did not include her. Attorneys for Jeanie Buss requested a temporary restraining order from the Los Angeles County Superior Court, after which the Buss brothers withdrew their request for a meeting to appoint a new board. Her petition contended that their proposal constituted a breach of the terms of the family trust, which she said stipulates that she remain controlling owner, and thus must always have a seat on the board, and that her brothers, as co-trustees, “take all steps reasonably necessary” to keep her in that position. When Jerry Buss, the Lakers’ longtime owner, died in 2013, he placed his majority stake in the team into a trust for his six children, with Jeanie, Jim and Johnny as the three trustees. The team’s board of directors has two other spots, which are controlled by billionaire Philip Anschutz, one of the founders of MLS. According to ESPN’s Ramona Shelburne, Jim and Johnny Buss submitted four names last week for their trust’s three spots on the board, which included them but not Jeanie Buss or Joey Buss, the alternate controlling owner. The NBA mandates that each franchise have one individual designated as each team’s controlling owner. Click on link to read article in full. While Jim and Johnny Buss continue to insist their intention has not been to seek the ouster of their sister from the Lakers’ franchise . It is hard to envisage how that cannot be the case , in light of the fact , Jeanie Buss sought to enactment of a restraining order from Los Angeles Superior Court . She must feel threatened by any action likely to be brought against her by her male siblings. This is not something I believe NBA Commissioner Adam Silver would like to see spiral out of control any further. For his sake and that of the league’s the only hope is for the situation to resolved amicably and quickly without there being any further allegations of wrongdoing or collusion. With less than twenty games left on the season schedule it will be interesting to see how the team fares during the final month of the season . Next up for the Los Angeles Lakers will be a game against the New Orleans Pelicans . This should prove to be a very good contest against a conference opponent . Kevin Durant of the Golden State Warriors is now injured and the team has lost one of their most influential and skilled players . Furthermore , for the first time in two years the Warriors have lost back-to-back games as a franchise, stirring up thoughts of the team now being extremely vulnerable. From my own standpoint , while I view this as a setback , I would say if they are capable of winning with Kevin Durant and they are also capable of winning with out him , as was the case last season. Then clearly , the only real issue which needs to be addressed . is what can be done by Steve Kerr and his coaching staff to make the adjustments needed while they are without the guard for whatever time-frame necessary ? The losses suffered by the Warriors were against the Chicago Bulls and the Washington Washington Wizards , respectively , both Eastern Conference opponents . If the Golden State Warriors are to rebound back after these losses, then it will be down to Kevin Durant’s teammates , Steph Curry , Klay Thompson , Draymond Green , Andre Iguodala and Shaun Livingston to raise the level of their play . In their next game , the Golden State Warriors are due to face the New York Knicks who are said to be having their own problems this season. I fully expect the Warriors to come out on top in this contest , while winning the season series outright ! Saturday’s and Sunday’s results in the NBA has led to the following within the divisions and conferences as the season is rapidly moving ahead under full steam. Among the victors from Sunday’s games were the Indiana Pacers over the Atlanta Hawks . The Golden State Warriors ‘ downed’ the New York Knicks on their way to a 112-105 victory after rebounding from a recent two-game losing streak from their last three games . Things continue to be abysmal for the Los Angeles Lakers after the recent shakeup within the front office. Luke Walton watched as his team fell to the New Orleans Pelicans as the Lakers’ season continues to spiral out of control. There were seven games played on Sunday afternoon . Monday’s schedule will have twelve games on the agenda, of which the most compelling might be the match-up between the Miami Heat and the Cleveland Cavaliers within the Eastern Conference , with these two competitors from the . Southeastern and Central Divisions . So there it is , they stood pat in not seeking to trade Derrick Rose and now there appears to be even more unrest within the New York Knicks’ franchise, as Carmelo Anthony becomes increasingly bitter about the team’s misfortunes and the apparent lack of competitiveness being shown and the lack of aggression by the front office led by Phil Jackson and GM Steve Mills . A little over a year ago I was told by an ardent Knicks’ fans the team would be on the rise and that Kristaps Porzingis would be one of the best centers in the league. Well one of out two predictions, wasn’t all bad , with Porzingis certainly playing like an NBA All Star , but unfortunately , other than Carmelo Anthony absolutely no one else on the roster is even worthy of an honorable mention. Derrick Rose has now descended into the midst of mediocrity , while his teammate Joakim Noah is simply on the roster to grab a paycheck and not much else. Over their last ten and fifteen games the New York Knicks have been an abomination to watch . The Charles Oakley fiasco still rings through and even with the advent of team owner James L Dolan deciding to surround himself with former Knicks’ players , Latrell Sprewell , John Starks and Larry Johnson as something of a PR ploy , the real issue has to be why Dolan hasn’t been overly concerned with what the fans now think , when he hasn’t chosen to address the franchise’s lack of competitiveness seen this season as well as last season ? The insistence that Phil Jackson has the wherewithal to build a roster is very much like suggesting Sarah Palin would be a good Director of the CIA or Ben Carson is well suited to his new Cabinet position as HUD Secretary . Only an idiot would believe Palin has the knowledge to lead the nation’s top spy agency or that Carson is well nuanced in the issues of affordable housing across the nation. In their most recent game the New York Knicks faced off against the Milwaukee Bucks , losing the contest 104-93 . Knicks’ head coach Jeff Hornacek will now prepare his players for a Saturday evening game against the Detroit Pistons on the road against an Eastern Conference rival . The Cleveland Cavaliers have now suffered their third consecutive loss and things are not so bright in LeBron James’ world . There have been a compendium of things which have led to this situation , most certainly the utmost has been the fact GM David Griffin has spent more time listening to James , rather than seeking build a competitive roster around the four-time League MVP . Smoothing James’ ego is one thing . but at the drop of a hat to believe the player has the wherewithal to dictate who should on the roster, is simply caving into the opinion LeBron James knows what’s best for the Cavaliers . This most recent loss came at the hands of the Detroit Pistons in a contest where Cleveland fell to their conference rivals 106-101. The depth on the Cleveland Cavaliers’ roster is nowhere near as good as some people believe they really are . Cap- friendly or not the Cleveland Cavaliers would appear to be hamstrung , but I believe team owner Dan Gilbert having tasted victory , would like nothing better than to make winning a regular thing for his franchise . Having seen their lead within the East erode , the Cleveland Cavaliers now have to deal with a robust Boston Celtics team looking to shock many within the NBA world , by possibly stealing the top seed within the conference. So as the troubles continue for several of the top teams in the NBA , I simply have to ask , does this all come down to bad coaching or just way too much basketball being played as the season begins to peter out ? Scheduled games for Friday night provided the fans with some excitement for the evening . Contest of the night might well have been the match-up between the Golden State Warriors who faced the Minnesota Timberwolves on the road , with the visiting Warriors losing this very intriguing duel . Also in an intra-conference match-up the Houston Rockets blew the barn doors off the building in their very lopsided victory over the listless Chicago Bulls . The Washington Wizards continue what has been an amazing season for the Eastern based franchise , as Bradley Beal led his team to their fortieth victory of the season, as they defeated the Sacramento Kings . These were just two of the eight games which took place on the 10th March . While College Basketball now takes center-stage in the build-up to the beginning of the Men’s and Women’s NCAA Tournament , within the ranks of the NBA , things continue full steam head . Saturday’s games among the professional ranks proved to be very entertaining on a number of levels . One of the more exciting NBA games featured the Oklahoma City Thunder taking on the Utah Jazz , with the visiting Jazz being the surprise team within the Western Conference this season. Russell Westbrook continues his astonishing season as he led the Thunder to another victory . In another of the twelve games on Saturday’s schedule the Los Angeles Clippers ‘downed’ the Philadelphia 76ers on their way to a twelve-point victory over the Eastern based Sixers . Also within the East , the troubles continue for the New York Knicks as they fell to the Detroit Pistons . The San Antonio Spurs are now only a game behind the Golden State Warriors for the best record in the NBA and the top-seed within the Western Conference . These two teams met on Saturday night with the Spurs pulling off the victory , led by Patty Mills’ twenty-one points in the game for a 107-85 win . The loss suffered by the Warriors was one of their biggest defeats of the season. Less than a day away before the beginning of the NCAA Tournament for the Men’s and Women’s National Titles , but the season within the NBA still remains in focus . Among the winners on Sunday were the Boston Celtics over the Chicago Bulls , as Boston inches closer to the best record in the Eastern Conference . For their part the Cleveland Cavaliers dropped to another defeat in an inexcusable performance , losing to the Houston Rockets . These are troubling times for the Cavaliers and the team in general over their last eight games . I will continue to say this , the New York Knicks under Phil Jackson are showing absolutely no signs of improvement and the team’s loss to the Brooklyn Nets is a troubling sign of a franchise unsure of that direction it is heading in . NBA standings by conference . Don’t look now , but there is trouble in paradise as both the Cleveland Cavaliers and Golden State Warriors have seen their conference leads steadily being erased . Recent losses for both the Cavaliers and Warriors. The San Antonio Spurs (52-14) have now joined the Golden State Warriors with the best record in the NBA , while also sharing the conference lead within the West . Over their last ten games both of these Western Conference powerhouses have seen their fair share of ups and downs . In their most recent meeting , the San Antonio Spurs got the better of the Golden State Warriors , where both teams rested a number of their starters in the contest . San Antonio earned a well-deserved victory , taking down the Warriors with a twenty-two point victory . In their next game the San Antonio Spurs will face the Portland Trailblazers at home . In the case of the Golden State Warriors, they will be meeting the Philadelphia 76ers on Tuesday night , with a chance of regaining the conference lead . For the Cleveland Cavaliers they will be on the court next , when they face the Detroit Pistons in an all-conference clash. Well it’s not long until the end of the NBA regular season and the teams are now playing themselves into something of a frenzy . Wednesday’s results offered little of consolation for some teams who still had a chance of a playoff position. The best game of the night took place as the San Antonio Spurs played hosts to the Portland Trailblazers . This contest offered up the chance to see Damian Lillard of the Blazers against Kawhi Leonard featuring two of the best young players in the league. The match-up between the two Western Conference teams proved to be very entertaining . Last season the contests between the Blazers and Spurs turned to be everything the fans could have wanted . Next up for the San Antonio Spurs will be a game against the Memphis Grizzlies on the road while the Portland Trailblazers will the face the Atlanta Hawks at the Philips Arena in Atlanta , Georgia on the 18th March , 2017 . It now looks as if Dwyane Wade’s season with the Chicago Bulls is now over , with the player having suffered a season-ending injury. The Bulls’ season has been mired with inconsistency . Without Wade , it is hard to suggest how Chicago will have a realistic chance of making the playoffs . Bulls’ head coach Fred Hoiberg and his coaching staff will now be hard pressed to get the best out of his players at this juncture. Dwyane Wade’s career in Chicago has likely come to an end, after what will eventually be remembered as 1,722 embarrassing minutes with the franchise. An injured right elbow initially diagnosed as a “hyperextension” awaiting an MRI turn, during Wednesday’s loss to the Memphis Grizzlies, has now been classified as a sprain and fractured elbow, and the future Hall of Famer will be done for the season. The injury is the latest in another long line of blows for a Bulls team that, with each passing week of the 2016-17 season, appears to have deserved every one of them. It will be a shame to see Wade and his 18.6 points, 4.5 rebounds and 3.9 assists per game done for the season, but a far weaker disappointment than the one that would have arisen should those contributions been taken away from the ascending and potentially playoff-bound Miami Heat. Those Heat, a club that Wade left after 13 years due to a contract dispute in 2016, are currently tied for the final playoff spot in the Eastern Conference. They sit a game above the No. 10 Bulls in what was supposed to be a rebuilding year for Miami. The Bulls, who signed Wade to a two-year, $47 million contract last offseason, were expected by the team’s front office to approach contender status in the East, but Chicago sits out of the postseason bracket with 14 to play despite a spectacular season from Jimmy Butler. Dwyane Wade (3) of the Chicago Bulls . It’s hard to say how much of Wade’s style rubbed off on Butler in what has become a career year for the latter, as the Bulls draftee was already doing similar damage as he eased into his prime in 2015-16. The thinking from Chicago was that Wade, though on the downside of his career, could meld with Butler’s all-around approach in creating a wing duo for the ages. It will be left to Jimmy Butler to lead the team as they look to round-out their schedule . In their most recent game the Chicago Bulls faced the Memphis Grizzlies , suffering a seven-point loss , 98-91 . It was in this contest during which Dwyane Wade suffered his injury , ending his season and quite possibly any chance of a return to the NBA Playoffs where his record speaks for itself. This could very well be Wade’s final season in the NBA , where he has been one of the league’s favorite and most respected players. Having signed a two-year deal with the Bulls the player does have the option of opting out of the final year of his contract . At this point given the uncertainty of his long-term health , I seriously doubt Wade is worth a multi-year , much less a one-year deal . Next up for the Chicago Bulls will be a game against the Washington Wizards , their conference rivals and a team who as of late , have been very impressive. Seeing and doing are two different things and in this case over the last ten games perhaps the most impressive player in the NBA has been Russell Westbrook of the Oklahoma City Thunder who went 6-4 during the time-frame in question . However , the most impressive team has been the San Antonio Spurs winning eight of their last ten games putting them just 1 1/2 games behind the Golden State Warriors (54-14) for the best record in the Western Conference . In last night’s games we had some rather surprising results , with the Denver Nuggets adding to the woes of the Los Angeles Clippers , pulling off a 129-114 home victory over their conference rivals . Both teams currently play within the Northwest Division and it will be interesting to see the how things pan out within the division as the season reaches its finality . There is a very tight race building up within the Eastern Conference for the final playoff berth as the Detroit Pistons and Miami Heat contest for the berth . Both teams share similar records 33-35 and with only fourteen games to play , the climax to the regular season could be an interesting one. The two teams are set to meet again on the 28th March for the final time of the regular season. The Miami Heat are slowly making their way back into the playoff race , having played some fascinating and winning basketball in their recent games. However , they may well have lost Dion Waiters for the rest of the regular season , possibly hurting the Heat’s chances in the NBA Playoffs , where a possible first round match-up against the Cleveland Cavaliers would be on the cards. For the Cleveland Cavaliers their last six games have certainly shown them to be a very flawed team . In their last game the Cleveland Cavaliers had what might have been their poorest performance of the season losing to the Los Angeles Clippers by a thirty-point margin , with the end result being a victory for the Western based Clippers , 108-78 . Cleveland’s LeBron James was the leading scorer for the team in the contest. Next up for the Cavaliers will be a game against a very inconsistent Los Angeles Lakers’ team . Sunday’s games in the NBA brought about some excitement for the teams and players , leaving the divisional races and playoff standings in something of a flummox . Winners on the day were the Dallas Mavericks , Philadelphia 76ers , Detroit Pistons , New Orleans Pelicans , Toronto Raptors , Portland Trailblazers , San Antonio Spurs and finally the Cleveland Cavaliers whose victory over the Los Angeles Lakers brought about the Lakers’ fiftieth loss of the season . John Paxson , Jerry Reinsdorf and Scottie Pippen are now the last vestiges left from the success of the Chicago Bulls still associated with the NBA franchise . 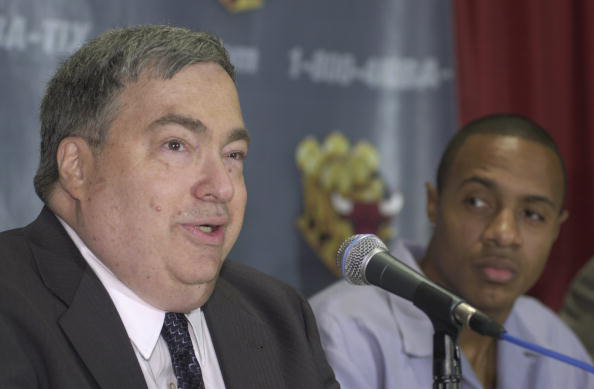 Former GM Jerry Krause passed away at the age of seventy-seven , having been one of the primary architects behind the building blocks used in laying the foundations for the dynasty which became the Chicago Bulls. Granted , fans witnessed the dismissal of Doug Collins who would be succeeded by Phil Jackson and a team which would supplement the talents of Michael Jordan . Yet , at the end of the day , Jerry Krause was loved just as much as he was despised by fans and players around the league. The fallout between Krause and Michael Jordan has been well-chronicled and discussed over the years. Jackson’s own relationship with the executive was known to be caustic . However, in the subsequent years , it had become more cordial between the two legends. Jerry Krause, the general manager who orchestrated the Chicago Bulls’ dynasty of the 1990s, assembling the teams that Michael Jordan led to six N.B.A. championships, has died. He was 77. The Bulls announced his death on Tuesday, giving no other details. The Chicago Tribune reported that he had been treated for osteomyelitis, a bone infection, among other health problems. Krause never played or coached basketball, but he was an astute judge of talent as a scout for major league baseball teams and for N.B.A. organizations. He was hired to run the Bulls’ front office in March 1985 by Jerry Reinsdorf, their new owner, who had been an owner of the Chicago White Sox when Krause scouted for them a few years before. Jordan was flashing the brilliance that would bring him acclaim as one of the greatest players in basketball history, but the Bulls lacked a strong lineup to complement him. With John Paxson and Gar Forman as the lead executives within the <a href=http://nba.com/bulls/chicago-bulls-staff-directory front office of the Chicago Bulls , it should be noted over the past eight years the franchise has not fared all that well . At 33-38 the Chicago Bulls currently find themselves two spots out of the Eastern Conference playoff race . Over their last eleven games the Bulls have shown a great deal of inconsistency . This team itself is built around the talent of Jimmy Butler , who’s by far the best player on the roster . It remains to be seen what the Chicago Bulls can do to place themselves back into the thick of things among the playoff contenders. Head coach Fred Hoiberg and the coaching staff will prepare the players for their next game when they will face conference rivals the Detroit Pistons on Wednesday evening . Now it’s time to bring on the noise and bring on the pain as the NBA season gets down into some really critical territory . Of the games played on Wednesday night , perhaps the most thrilling of all , might have been the contest between the Cleveland Cavaliers and Denver Nuggets . This defeat simply added more woes to what has been an inconsistent season for the Cavaliers overall. Thursday’s results in the NBA . The last several days within the NBA have been something to behold . Contenders seem to be making a stance while the pretenders appear to be falling by the wayside. The Orlando Magic’s defeat of the Detroit Pistons has created even more intrigue within the Eastern Conference . The Pistons have slipped down the conference standings . It might not be seen as the performance of the season , but Devin Booker’s historic night for the Phoenix Suns in their loss to the Boston Celtics , might well be the highlight of the season for a truly embarrassing Suns’ team . Next up for the Phoenix Suns will be a game against the Charlotte Hornets which will be played on Sunday , 26th March . BOSTON – The pregame question focused on Devin Booker. Is he the best shooter you’ve been around? Devin Booker of the Phoenix Suns . An hour later, Booker went out and showed as much. The second-year guard produced the highest-scoring game in franchise history, pouring in 70 points in a 130-120 loss to the Boston Celtics at TD Garden. While the Suns lost for the seventh time, Booker put together the highest-scoring game of the season, passing the 60 Klay Thompson put up against Indiana in October. In the process, he became the third-youngest player in NBA history at 20 years, 145 days, to record a 50-point game, joining LeBron James and Brandon Jennings. Throughout this stretch, most of the focus has been on Phoenix’s young players, which makes sense. Both rookie point guard Tyler Ulis and forward Alan Williams have made good use of their extended minutes – something that will serve management well in their short-term decision-making – but this also is an important time for Booker, a gifted scorer who already has one foot in the stardom pool. By now, most know that in two years Booker has scored in ways not many have. Before turning 20 in October, he scored 1,087 points as a teenager, sixth most in NBA history. Of the five players ahead of him on that list – James, Kobe Bryant, Carmelo Anthony, Kevin Durant and Dwight Howard – all but Anthony were All-Stars within their third seasons. Anthony made it in his fourth season. Devin Booker’s seventy-points scored against the Boston Celtics was the most productive game in the NBA this season and the highest points’ tally posted by a player in the last four seasons . Player injuries asides this season in the NBA has been quite exhilarating on several counts . Over their last eight games teams have been playing as their lives depended on it . Saturday’s results didn’t provide a clearer picture concerning the playoff standings , but it did provide a clearer look as to which teams are among the worst in the league. The Cleveland Cavaliers should not be losing games in such a manner when facing lesser opponents . It is clear there are significant issues with this Cavaliers’ roster which need to be addressed. If the Cleveland Cavaliers are to win out then the level of their play will have to be raised. Next up for the Cavaliers will be a contest against the San Antonio Spurs on Monday night in this match-up between two of the top teams within each conference. What should make this contest all the more interesting is the face-off between two of the leading candidates for this season’s League MVP Award as LeBron James of the Cavaliers and Kawhi Leonard of the Spurs get down to business . Several of the NBA’s divisional races are most conclusive by way of their almost determining a champion . At this stage last season the standings were quite clear as to how things were likely to pan out for the 2015-16 regular season . Sunday’s games in the league (NBA) provided the fans with some surprising results . The Houston Rockets (51-22) are one of three teams in the NBA with at least 50 victories at this point of the season. All three of those franchises are in the Western Conference which remains by far the strongest of the two by a long way . James Harden and the Houston Rockets overwhelmed the Oklahoma City Thunder on their way to a well-deserved twelve-point victory , 137-125 . Harden for his part , continues his exhilarating season and now appears to be the leading candidate for League MVP . Elsewhere , among the games being played on Sunday , we had the Golden State Warriors (59-14) proving why they remain the best team in the league , with their victory over the Memphis Grizzlies . It is becoming abundantly clear the Los Angeles Lakers are a team in need of a complete overhaul in terms of the roster . Lack of real veteran leadership , players who clearly are not up to par and a coaching staff led by Luke Walton , with little real coaching experience , has led to the continued malaise for the Lakers this season . In their sixteen-point loss to the Portland Trailblazers it was clear they were no match for their conference counterpart . It is hard to suggest where the Los Angeles Lakers’ front office can go from here as GM Rob Pelinka and Magic Johnson try to sort out a mess which Jim Buss , Johnny Buss and Jeanie Buss have presided over for the past four seasons . This month in NBA history and on this date . I can’t help but wonder how much more fans of both the Brooklyn Nets and New York Knicks will be asked to tolerate over the remainder of this season . Both teams have played with the abject mediocrity often associated with a lower-rung D3 program within College Basketball . To understand how bad both the Brooklyn Net and New York Knicks have been , you simply have to look at their divisional record , standing within the Eastern Conference as well as their records overall within the league. Within the Eastern Conference we continue to see why the play there remain so mediocre and it continues to be a boon to the league even though they have the reigning NBA champions the Cleveland Cavaliers within the East . It has been an amazing season for the Washington Wizards as they clinch a divisional title as well as an NBA Playoff Berth , while quite looking ahead to their first round opponent. Yet for my money , this season for the Wizards has been about the exemplary play of John Wall and Bradley Beal , as these two players have led the team by example . Other than the Cleveland Cavaliers and Boston Celtics , I do not believe there has been a better team within the Eastern Conference than the Wizards , simply based on their consistency. With the Boston Celtics now in the driver’s seat within East as the top-seed , this creates something of a nightmare scenario for defending champions the Cleveland Cavaliers. Bradley Beal (3) and John Wall (2) of the Washington Wizards. With only a few games remaining on their schedule it will be interesting to see if the Washington Wizards can have their best recorded season in franchise history . Next up for John Wall and his teammates will be a game against the Los Angeles Clippers . If the Boston Celtics (48-26) were to beat out the Cleveland Cavaliers (47-26) for the best record in the Eastern Conference , then it would provide the biggest surprise of the year in the NBA and be by far the biggest story of the NBA season. Celtic’ head coach Brad Stevens has proven himself to be one of the most astute and best young coaches in the league. His pedigree was there for all to see while coaching at the Collegiate Level with Butler , a program that Stevens placed in the upper tier of programs within College Basketball. I certainly believe Brad Stevens has to be seen as one of the leading candidates for this season’s NBA Coach of The Year ! He is likely to be joined by Gregg Popovich , Scott Brooks , Mike D’Antoni and Quin Snyder as one of the leading candidates for the award. The Boston Celtics have played with a great deal of consistency throughout the season , Boston’s best player by far , has been Isiah Thomas who remains among the leading scorers in the league this season. It would be foolish to consider betting against the Celtics at this point of the season given their performances against their conference rivals. In their most recent game the Boston Celtics might well have placed the Miami Heat’s chances of an NBA Playoff appearance in jeopardy with a well-deserved victory over the Heat. Next up for the Celtics will be a Wednesday night game against the Milwaukee Bucks . So we have almost reached the climax of the NBA season with the vast majority of the teams with less than seven games left on their schedules. For the remainder of the regular season , I have no real wish to mention how mediocre the New York Knicks have been , because clearly the organization much like the analysts and fans alike , are still redundant as to their feelings , on what has been a franchise bereft of intellect and talent . The hiring of Jeff Hornacek as the head coach has been a complete farce , while Phil Jackson and the entire front office prove to be equally as incompetent as the players and coaching staff. If the New York Knicks are having a miserable season , then one would have to say the situation for the Los Angeles Lakers remains dire . The upheavals within the Lakers’ front office have been well publicized , while the unrest remains . It is becoming abundantly clear , GM Rob Pelinka and Magic Johnson will have their work cut out for them during the off-season. While the Lakers remain the biggest sports’ story in greater Los Angeles area , I can’t help but wonder , with the gloss now becoming more of a dull shade of grey , what will happen next for the franchise ? Head coach Luke Walton and his coaching staff continue to have problems in getting this team to play with any signs of real confidence or determination . Next up for the impoverished Los Angeles Lakers will be a game against the Minnesota Timberwolves , another one of the Western Conference’s more pedantic teams . The Thursday night results in the NBA and how they effect the divisional standings as the season winds down . It’s pretty safe to say at this time last season the standings were not that much different than what we are now currently witnessing. Within the East , things are now beginning to heat up, where several teams now are fighting for their very lives to make it into the playoff picture . Earlier this season , I was very much optimistic about the chances of the Detroit Pistons as I felt the team was long overdue another shot in the NBA Playoffs. Not since their epic triumph over a heavily All Star studded Los Angeles Lakers’ team , have we seen the franchise in the postseason. This season for the Detroit Pistons has been one of inconsistency , while the coaching staff of Stan Van Gundy has been one to show some tenacity in coaching the current crop of players . The days are now long-gone when Chauncey Billups led the Detroit Pistons to their historic win over the Los Angeles Lakers in the NBA Finals . Detroit Piston stars Ben Wallace (left) and Chauncey Billups , part of the team that defeated the Los Angeles Lakers in 2004 NBA Finals . As the season now winds down for the Detroit Pistons, it will be interesting to see how they acquit themselves over their final games of the regular season . Detroit’s next game will see them facing the Milwaukee Bucks . In their latest regular season meeting , it was the San Antonio Spurs , once again triumphant , as they downed their Easter Conference opponent the Cleveland Cavaliers , in what turned out to be an extraordinarily lopsided contest . At no point during this game was LeBron James and his teammates able to get the upper hand over the Spurs . The twenty-nine point margin of victory was among the biggest loss suffered by the Cleveland Cavaliers over the course of this season . Over their last eleven games the Cleveland Cavaliers have labored significantly . In their next contest LeBron James and his teammates will face the Philadelphia 76ers , while the San Antonio Spurs will meet the Oklahoma City Thunder . Two leading candidates for this season’s League MVP will be squaring off against each other as Kawhi Leonard of the Spurs faces Russell Westbrook of the Thunder. Friday’s results in the NBA and the divisional standings as the season is almost at an end . Another triple-double from Russell Westrbook could not stymie the San Antonio Spurs as they defeated the Oklahoma City Thunder in an all conference match-up . . In another conference game the Miami Heat are seeing their playoff hopes taking a knock real fast after a loss to the New York Knicks . Though Miami holds the number seven seed within the Eastern Conference , there is only a half-game which separates the seeding from seven through to nine . There is a relentless pursuit now going on as the Cleveland Cavaliers look to regain the number one seeding within the East , having lost out to the Boston Celtics in the last three weeks . This month in the NBA and on this date in basketball. The divisional titles are all but sealed and the seeds now appear to be set as the NBA season winds down . The vast majority of the teams in the league have five games or more to play and it will be interesting to see how the teams acquit themselves over the remaining games on their respective schedules. At this point last season the teams were certainly playing with a great deal of passion . Sunday’s games simply indicated how arduous the season has been for the teams and players of this regular season , schedule . With the recent poor play of the Cleveland Cavaliers , I am not so sure the team will have it all their own way once the NBA Playoffs begin ! I certainly don’t believe anyone could have envisioned the situation where at this point of the season the Cavaliers would be the second seed within the Eastern Conference and with only five games to play on their schedule . Head coach Tyronn Lue and the coaching staff will have a great deal to contemplate in the coming days as Cleveland’s regular season schedule comes to a close. The team’s five-point victory on Sunday night over the Indiana Pacers was not without its difficulties , as the Cavaliers were stretched every second of the way throughout this game . Next up for the Cleveland Cavaliers will be a game against the Orlando Magic . The two have been by far the most explosive players throughout the regular season with the names of James Harden and Russell Westbrook being among those at the top of the scoreboard on the nights where they have led the Houston Rockets and Oklahoma City Thunder . These two very combative and competitive players will be part of the NBA Playoff scenario within the Western Conference when the postseason gets underway . If the conference standings were to remain the same at the end of regular season , then the first-round match-up would provide the fans with the chance to see Houston Rockets face the Oklahoma Thunder , with the titular confrontation between James Harden and Russell Westbrook. Though the NBA’s individual honors are not based on postseason performances , I have to admit either way , the League MVP is far from being a forgone conclusion for this season !